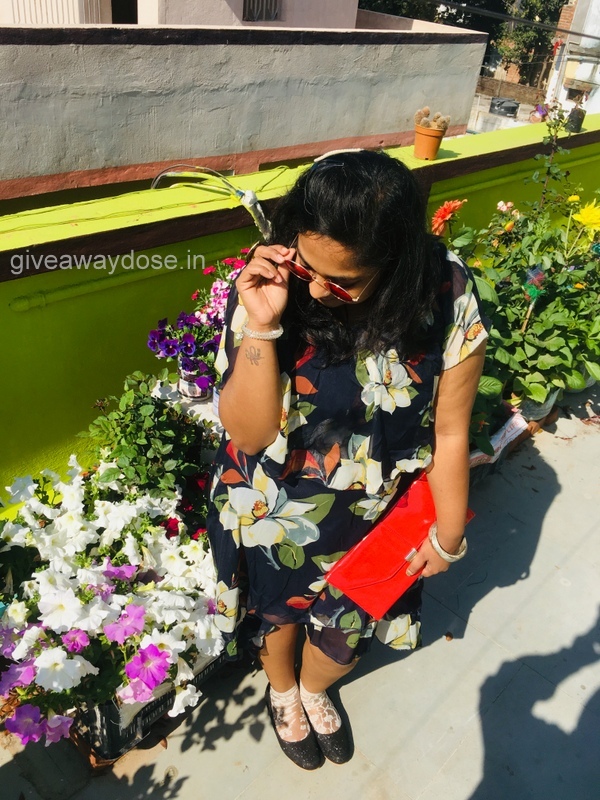 Giveaway dose: Flower Power !!! 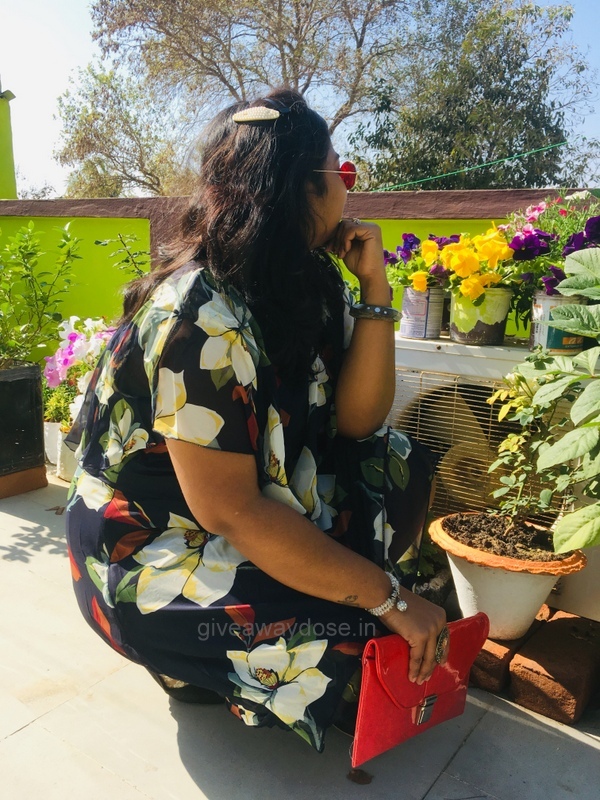 I wore this dress from Dresslily from their plus size collection. Its a flower capelet dress, i loved its flower prints and high low pattern . Ahem Ahem .... dress print and pics background matching matching ..... flower power ! 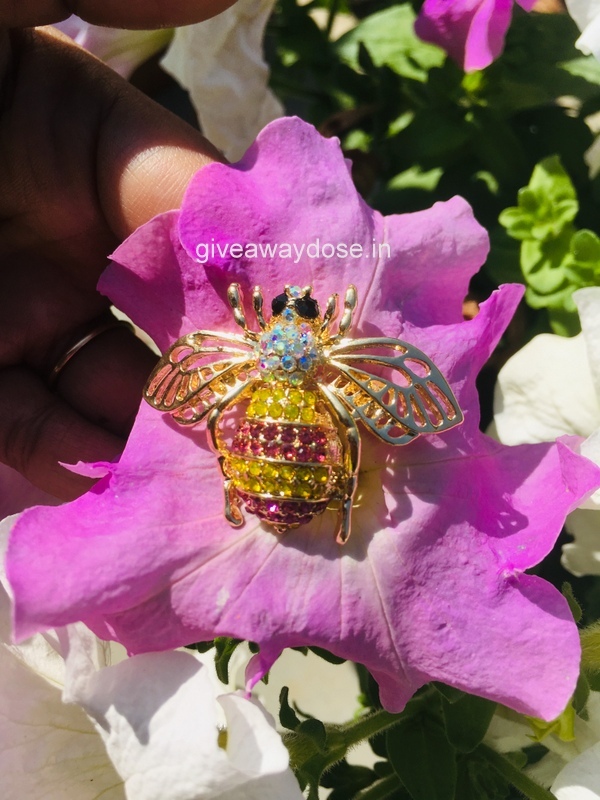 This honey bee on the flowers is a brooch which i liked so much, its looking like a real one. Do you like it ? let me know your thoughts in the comments section below.